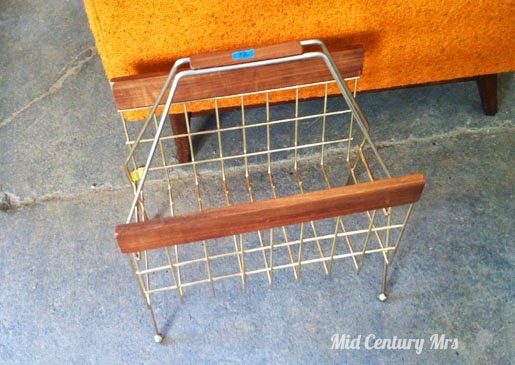 Mid Century Mrs: Hutch Shopping. About a week ago, I was definitely up to no good... One of my favorite stores, FindFurnish, was having one of their warehouse sales. So, I stopped over after work in hopes to make it before everything good was snatched up. 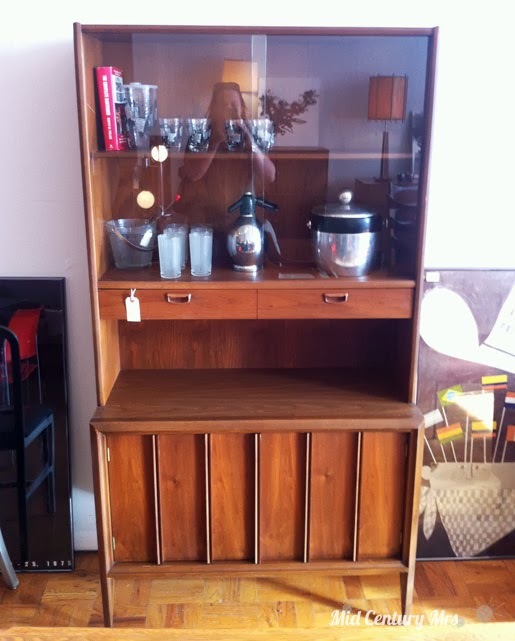 We've been sort of looking out for a hutch for the living room for awhile. It was the last large piece that I felt we really needed. At the warehouse, the only one I really liked was this one. But I knew right away that it was too wide for where it would go. It also had a chunk of wood missing from the bottom left that I was pretty sure I couldn't fix with my limited skills. Then I spotted this guy by the door and snatched it up. Cute, simple. I liked the idea of the added brass to what we already have in the living room. I snatched up something else small and went to check out. 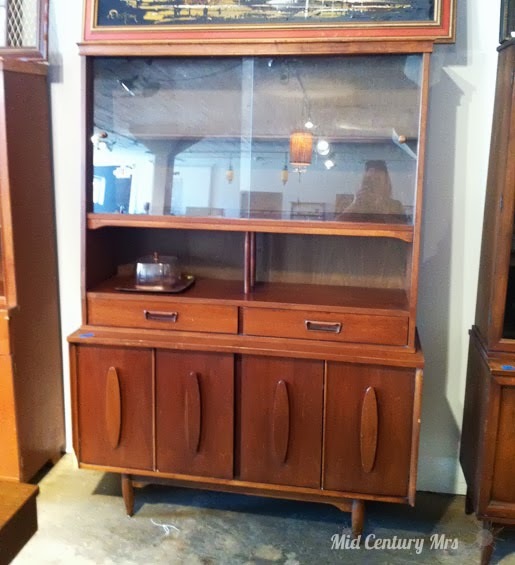 I was discussing finding a hutch for our living room when they suggested I go check out the store front just a few minutes drive away for a smaller hutch that was thought to be on sale. I zipped on over there and sure enough. I liked it. It looked like it was in good condition. The price wasn't bad. I texted a photo to Bill and waited and checked out everything else. It didn't take very long for Bill to measure the space to double check to make sure it would fit and I got the go ahead. It was interesting getting home, because it didn't quite fit in my vehicle and we didn't really have anything proper to tie everything up/closed properly. But it made it home and it's in my living room. More to come!